Silhouette Shooting Course, this Sunday 5th February. We are holding an introduction session to Metallic Silhouette shooting on our range this coming Sunday 5th Feb. It is primarily for club members but non members are welcome. You will need your .22LR rifle, license, proof of insurance and low velocity(target) ammo. Starting at 11:00am. If interested, please use the “contact us” page of this web site(in the “About” section, see above) and send us a message with name. We will reply with directions. 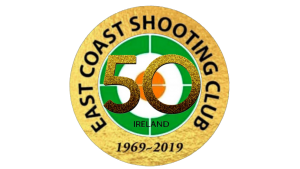 http://eastcoastshootingclub.com/wp-content/uploads/2019/02/ECSC-50th-20190101-300x169.png 0 0 SMCEditor http://eastcoastshootingclub.com/wp-content/uploads/2019/02/ECSC-50th-20190101-300x169.png SMCEditor2017-01-30 12:30:242017-01-30 12:31:54Silhouette Shooting Course, this Sunday 5th February.